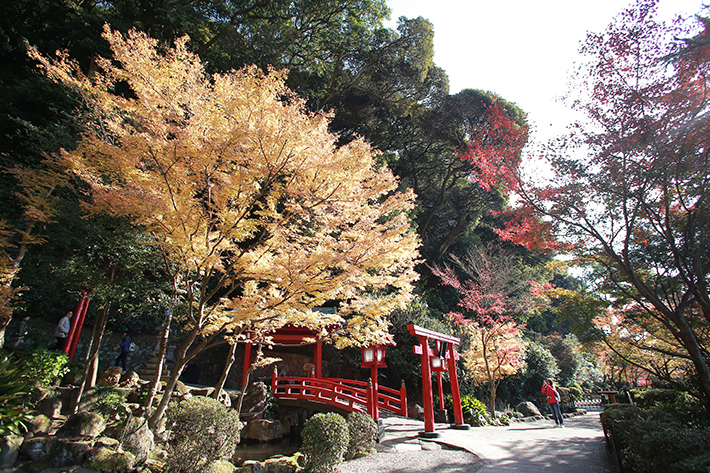 While much of Japan’s tourism is primarily funnelled towards its capital, there is in fact, much to be seen in its more underrated and suburban areas. The Kyushu region consists of the third largest island in Japan and located in the northeast of Kyushu is its hot spring capital, Oita. The Oita Prefecture is one such area that not many may have heard about but is by far one of the most scenic destinations in Japan. The vast volcanic area that occupies a greater portion of this prefectural territory boasts the abundance of hot springs. Famous throughout Japan for its onsen baths and resorts, the two tourist towns of Beppu and Yufuin attract millions of domestic visitors every year. But that’s not all, the Oita Prefecture also boasts a stunning array of fun activities that are perfect for the whole family—from aquariums, museums, and even a pretty solid nightlife scene that the youth will surely enjoy. 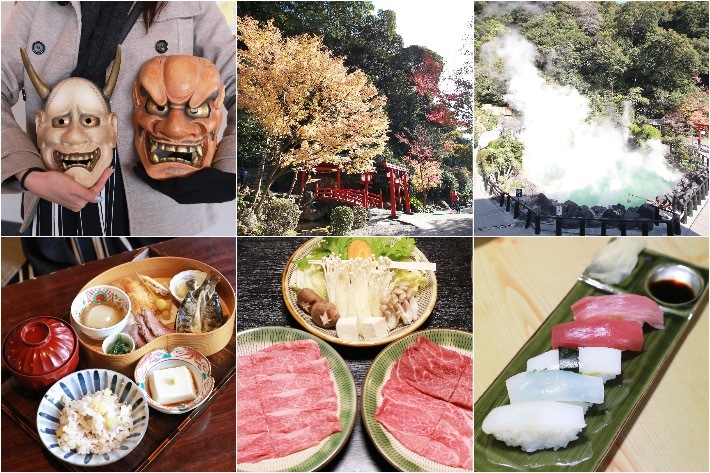 If you are ready for a week of adventure and fun at the hot spring capital of Kyushu, read our 5D4N Oita Itinerary to know just where the best places to eat, have fun and sightsee are at. In the Oita Prefecture, the land mass may be one of the smallest but believe it or not it has the highest concentration of hot springs in the whole of Japan, and no visit to the Oita Prefecture would be complete without stopping by the famous spa city of Beppu. Beppu is located in the central part of the Oita Prefecture and is abundantly filled with active volcanoes—which is no surprise as to why clouds of hot gushing steam is a common sight all over the area. In this scenic onsen town, many visitors flock to see the 8 hells (Jigoku) which are all natural hot spring sites—not places where people get punished in Japan. The Ubi Jigoku (also known as sea hell) features a pond of boiling blue water that is a marvel in itself. The Chinoike Jigoku—or as locals commonly refer to it as ‘blood hell’—features a pond of hot, red water. A visit to this hot spring hot spot makes for one hell of an experience—this we guarantee you. 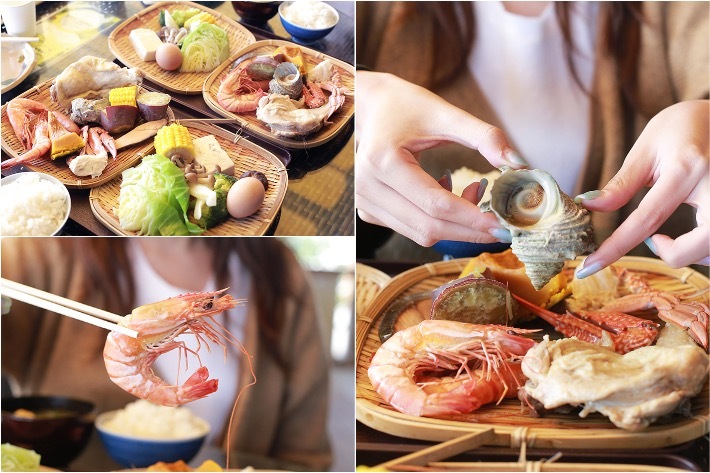 Some of the edible highlights you can expect to look forward to is the egg pudding which is cooked using the natural steam generated by the hot springs. The luscious pudding was immensely eggy with a bittersweet undertone from the caramel at the bottom. Believe us when we say that the folks here are a pretty resourceful bunch. 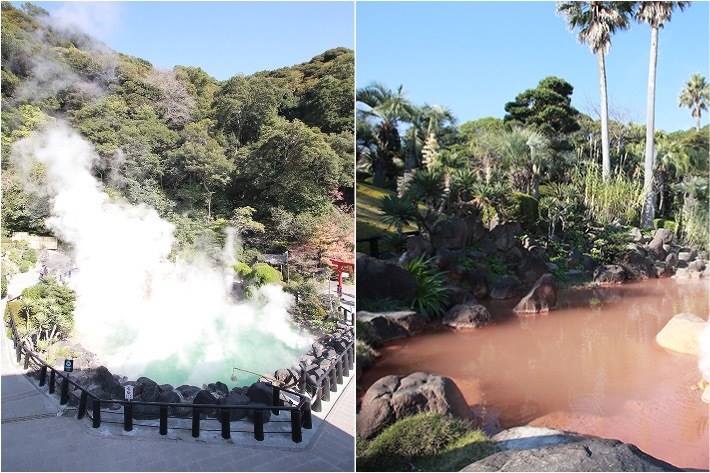 Harnessing the natural steam from the hot springs in Beppu, many restaurants in the area specialise in steam cooking. One such restaurant is Satonoeki Kannawa. Satonoeki Kannawa’s menu is pretty straightforward, just 4 options—steamed tray of assorted vegetables, seafood, chicken or pork belly. 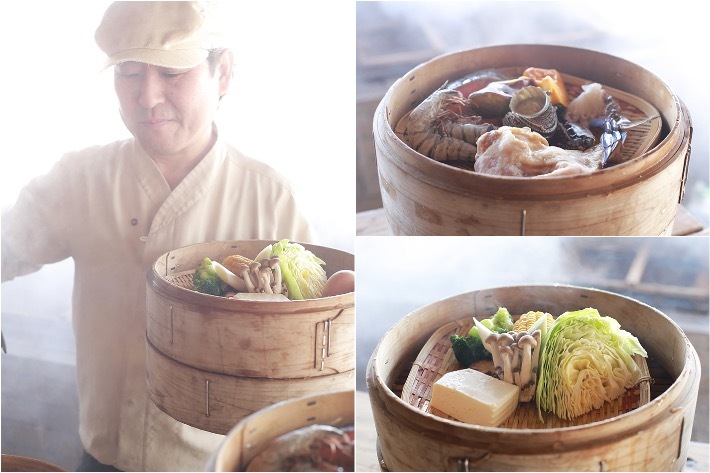 Steamed using natural hot spring steam, the dishes are believed to be rich in minerals. And while none of the items came pre-seasoned, we were really astonished by how sweet and flavourful the ingredients were. The massive Big Eye Stadium is located up on a hill in Matsuoka, an area rich in greenery that sits above downtown Oita. The stadium is designed for use in any type of weather and is equipped with a natural pitch and other facilities befitting an international football stadium. The infrastructure is a marvel in itself and spectators will no doubt have superb views of the playing field regardless of where they are seated. 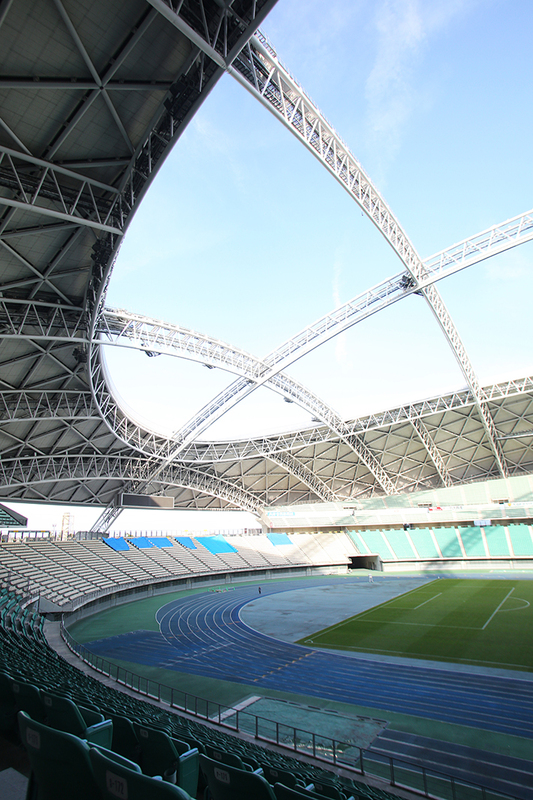 A cool point to note is that come 2019, Oita will play host to the Rugby World Cup and it will be happening right here! Many would have heard of fugu (blowfish), the Japanese delicacy that is so poisonous that the smallest mistake in its preparation could be fatal to the person who consumes it. In Oita City, fugu is a local delicacy and can be found pretty abundantly in many restaurants around the city area. Oogami is one such restaurant that locals flock to satisfy their cravings for this toxic fish. Here, fugu is prepared in numerous ways with each course boasting a unique style and presentation so as to allow diners to fully appreciate this dish right down to its essence. 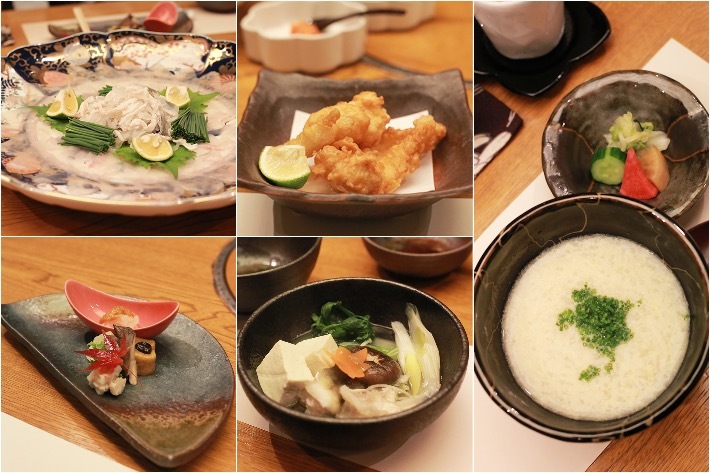 You begin with a fugu sashimi, followed by a deep-fried battered version, a steamboat version, and lastly a porridge version. If you fancy some sake, they also serve a warm one that is infused with a grilled fugu bones. The townscape of Hetsugi Honmachi features rows of traditional homes with high white walls and historic buildings constructed back in 1863. Walking the streets here would have you feeling as if you have travelled back in time to the Edo period. 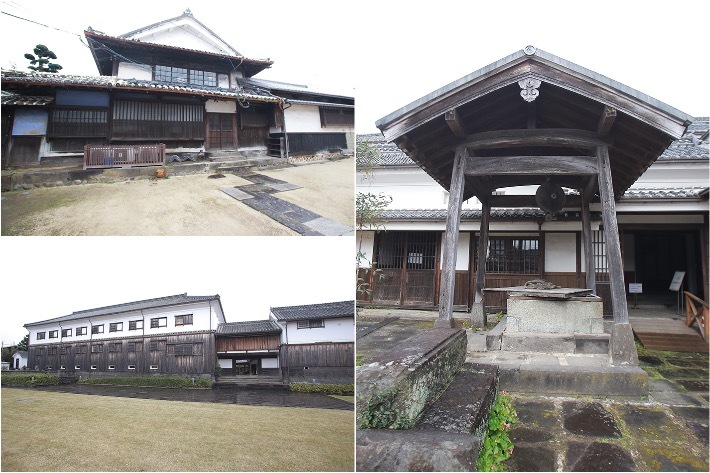 In the Edo-period castle town of Hetsugi in the Oita Prefecture, one of the more popular historical sights to visit is the Hoashi Honke Sake Brewery. Although it shut down its operations back in 1972, the facility still remains open for tourists and locals to explore and within it, there is even a cafe that serves up anything from a bowl of hearty noodles to homemade coffee and cakes. 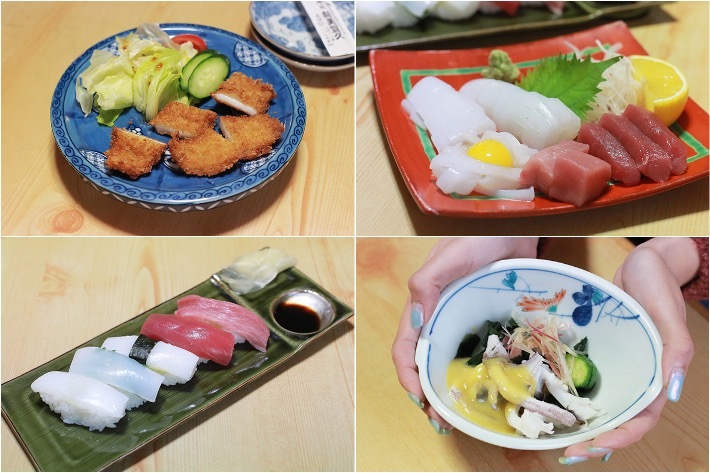 Touring the scenic streets of Hetsugi really does work up an appetite and what better way to satisfy our hungry bellies than for a full-on sushi lunch over at Shinmikaku Sushi? Look out for seasonal fishes; the freshness is unbelievable! 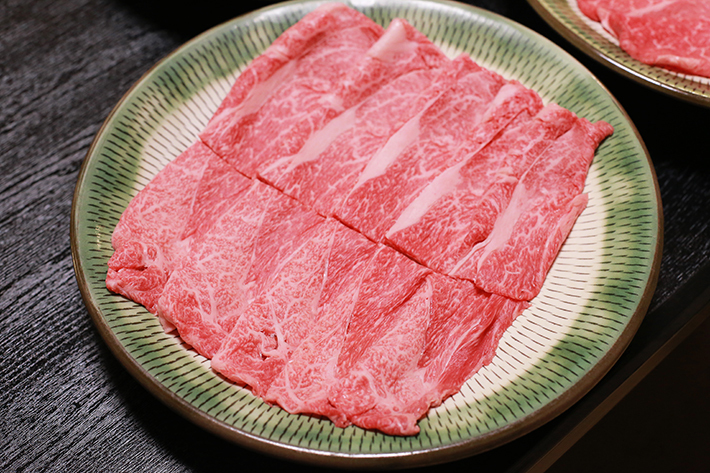 Boasting one of Oita’s premium beef varieties and the city’s speciality is Bungo beef. Tender and beautifully marbled, this is one unique cut that is fit for royalty. At Kagyu, you can choose to have Bungo beef in a variety of ways but the more common choices—especially during the cold seasons—is the sukiyaki and shabu shabu options. We had this glorious cut of meat in the form of sukiyaki as opposed to shabu shabu. While both are similar in style—in that both make use of thinly sliced beef and vegetables—sukiyaki is cooked in a shallow skillet with soy sauce and sugar, allowing the beef to develop a much richer flavour; whereas cooked in shabu shabu, it is essentially eaten hot pot style in a soup which tends to result in a savoury yet mild option. What else can we say? The beef was fatty, flavourful and brimming with intense beefy flavours—a true delight. 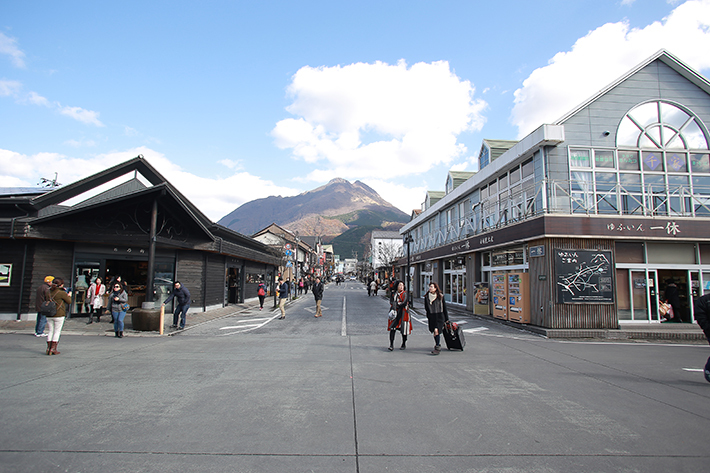 Yufuin Village in Oita Prefecture is a popular spot that sees quite a crowd during weekends. It is a place that boasts scenic splendour as well as a wide variety of shops for tourists to indulge in. 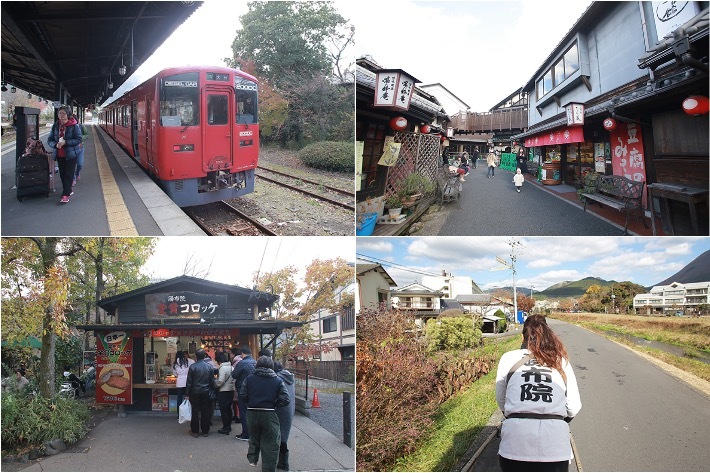 For a better view of the scenic landscape and townscape, hop onto a rickshaw when you are there or even on your journey up to Yufuin, opt to take a local train as opposed to a taxi. Yufuin is a small town of around 36,000 people nestled in the picturesque valley below Mount Yufu. A thoroughly clean and vibrant place geared towards women and young families, what you can expect to find here is a mixture of souvenir shops, food kiosks, quaint cafes and bakeries offering local snacks—we even heard that the croquettes here are some of the best around. 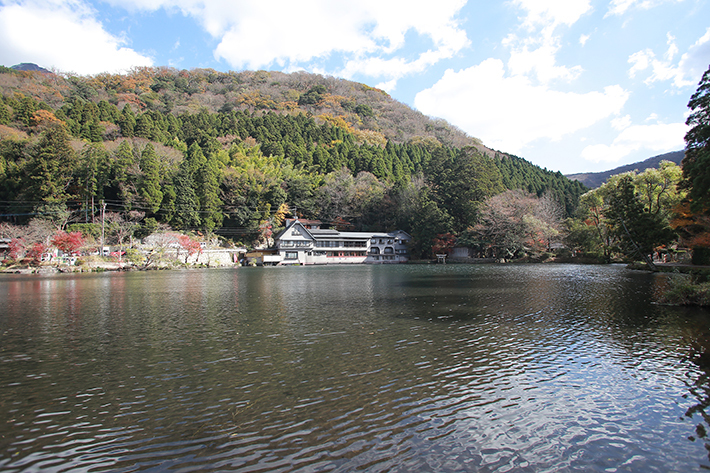 Lake Kinrin, or Kinrinko Lake, is a noted beauty spot with a number of onsen, restaurants and cafes on its shores including the Kamenoi Besso ryokan—a classic ryokan from the 1930s and considered one of the of the best and most expensive in Japan. Many locals refer to this lake as ‘Fish With Golden Scales’. There is a pretty fascinating story behind it too—just ask a local and let them surprise you with this. 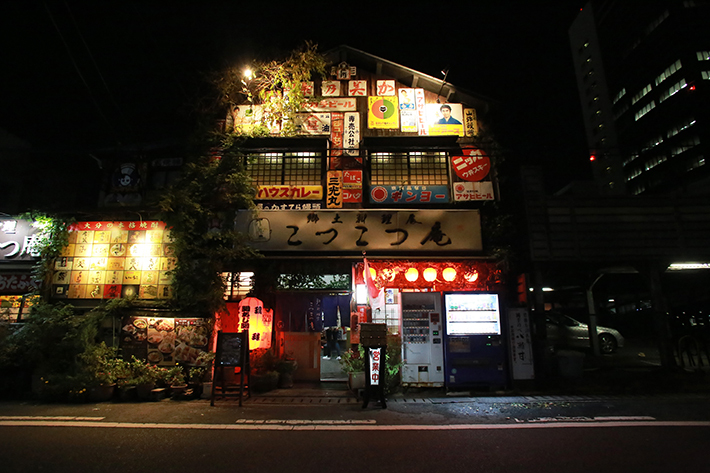 In the Yufuin district, perhaps one of the most popular restaurants is Yunoyake-An. 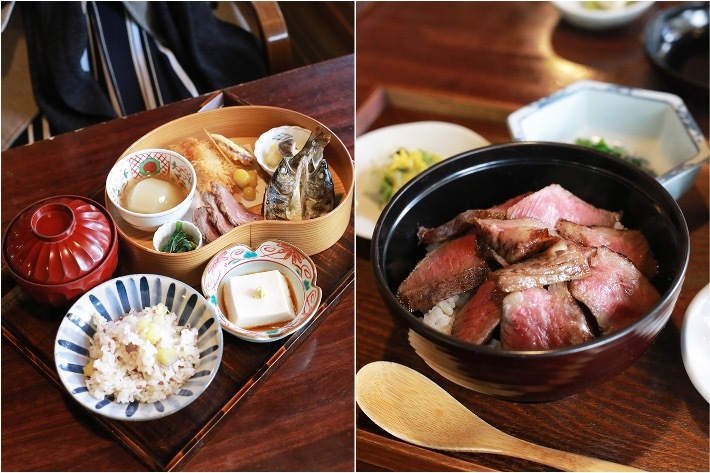 Dishing out authentic Japanese fare using fresh, local produce, what you can expect from this cosy eatery is the very best that Oita Prefecture has to offer. Having heard so much about their stellar Bungo Beef, there was no way we were going to miss out on the Bungo Beef Donburi. Generous slices of well-marbled beef sit neatly atop Japanese rice with pickles and an onsen tamago served on the side. The locals were not kidding when they said that Bungo is truly one of the tastiest cuts around—tender, fatty and oozing with beefy flavours, this is one dish you have to try when you’re around the area. The second set dish we had was a seasonal special that showcased a variety of local meat and vegetables, but perhaps the more notable item was the grilled trout that was neither dry nor redolent of any fishy smell. 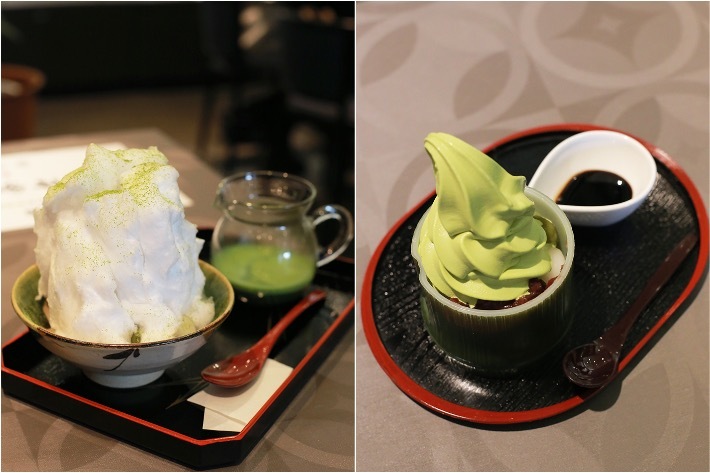 For matcha aficionados, do make it a point to stop by Wakatakeen Café: a green tea-centric dessert cafe that specialises in a wide variety of matcha-based desserts and tea of course. Noh is a classic stage art and one of Japan’s oldest and proudest art forms. During a typical Noh performance, performers don a variety of masks and traditional costumes depicting different characters. 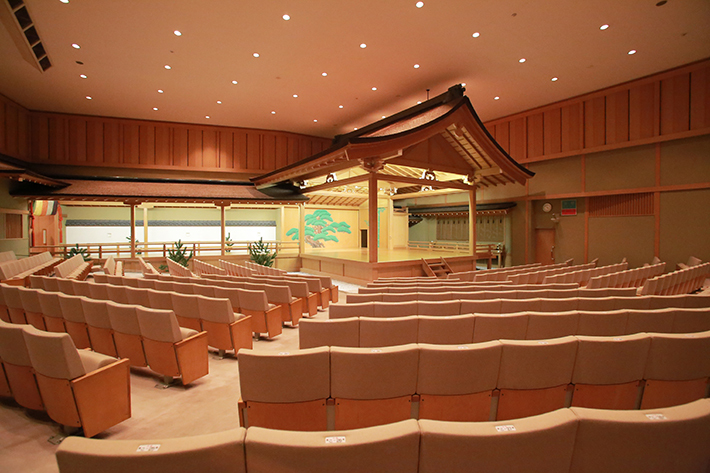 Contrary to its stellar reputation that dates back to ancient times, only a handful of the Japanese people have actually visited a Noh theatre and appreciated Noh programs. Unfortunately, Noh theatre performances only happen 10 times a year but if you get the chance to see one, we highly recommend it. Kotsukotsu-An is a quaint little eatery located within Oita City that is famous for their Kan-saba and Kan-Aji—which are both different varieties of mackerel predominantly found in the Oita Prefecture. The exterior boasts a rather whimsical appeal and looks like something out of a Hayao Miyazaki film. The food, however, speaks of a different thing altogether. We opted for the mackerel sashimi, the marinated version that sees cut up chunks of mackerel submerged in ponzu as well as a bowl of assorted mackerel innards—which we absolutely loved. The fish itself was insanely fresh and absent from any foul smell and the innards were so beautifully executed—boiled, chilled and marinated in a ponzu sauce, this was the perfect snack to go with our beer. 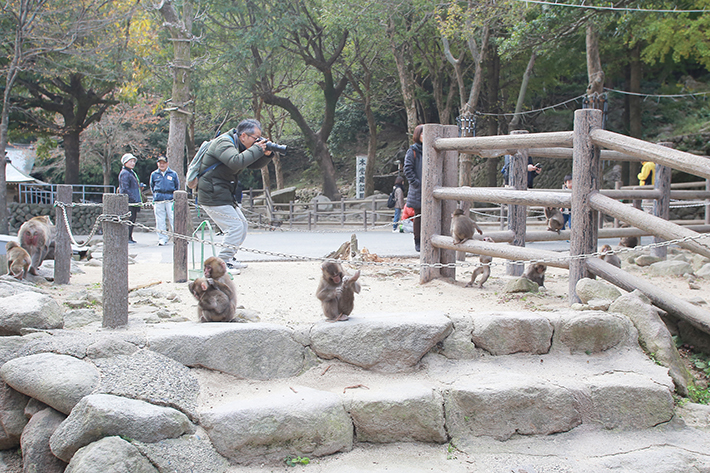 The Takasakiyama Monkey Park is a popular monkey reserve at the base of Mount Takasaki along the coast between Beppu and Oita City. The mountain is home to some 1,500 wild Japanese macaques that roam freely around its steep, forested slopes. Park visitors can get close to the monkeys as they are fed, and watch them as they run around, play or just sit in the sun and groom each other. However, although the monkeys seem tame, it is probably safer to avoid attempting to feed or touch them. The Oita Prefectural Art Museum (OPAM) is an art museum located about 30 minutes away from central Beppu in downtown Oita City and a true modern marvel to behold. 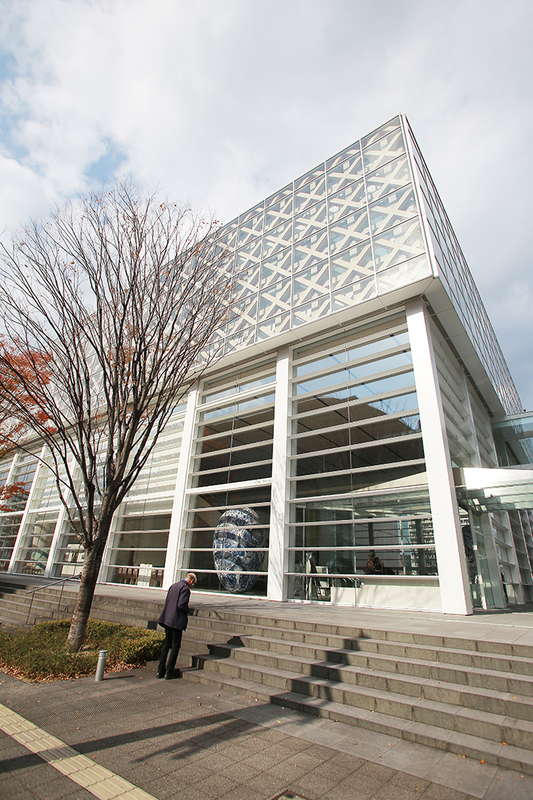 The museum displays a variety of art genres in its temporary exhibitions such as paintings and sculptures and also branches out into poetry, performance art and many artworks with a heavy emphasis on the works of Edo period painter, Tanomura Chikuden. 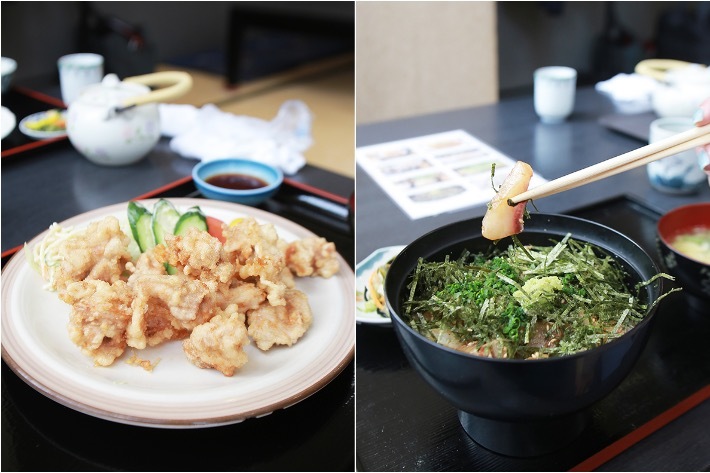 Nestled inside an office building, just a short walk away from OPAM is Hanamura, an unassuming Japanese restaurant that serves up a mean fried chicken. Their chicken tempura is mind-blowing but even their regular fried chicken (minus the batter) will leave an impression. 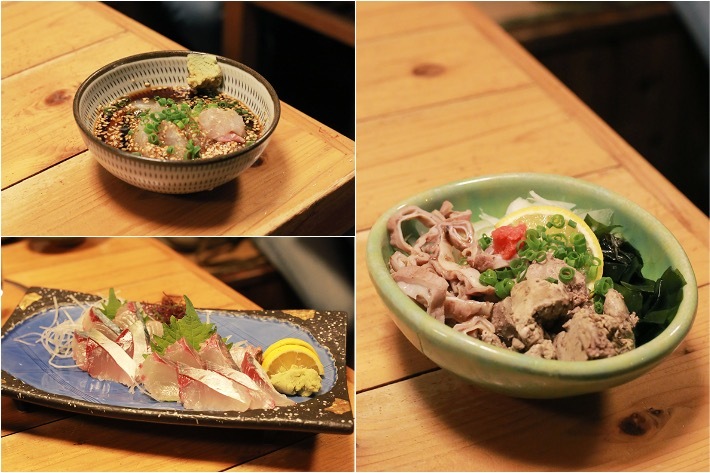 Besides fried chicken, they also dish out your usual Japanese fare from donburi to sashimi. This post was brought to you by Oita Tourism Board.